We sell and install primarily Goulds pumps in sizes and applications ranging from pumps for single-family dwellings to large multi-unit residential or commercial property pumps. 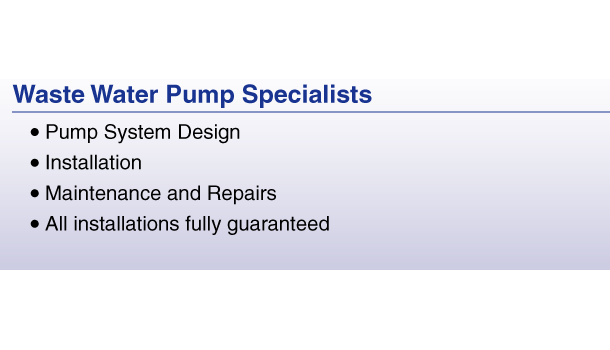 As wastewater pump specialists, we troubleshoot and repair all manner of pump issues. If you are having problems we have experts available to assess and solve the malfunction. Often what appears to be a "pump problem" is a faulty float control switch or even an electrical issue unrelated to the pump. We replace or repair as needed and always keep in mind the best and most cost-effective solution for you, our valued customer. 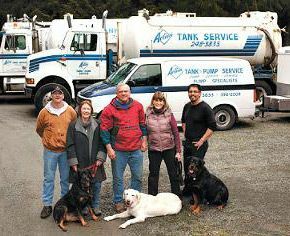 Septic tank cleanouts are a routine part of maintaining your system but can sometimes be required on an emergency basis. When you call for an appointment we’ll check our long-standing records and ask about your tank size, location, access and urgency and schedule accordingly. If you get together with your neighbours, there are savings to be had by scheduling together for a volume discount. Once your cleanout frequency can be estimated we will provide a free reminder service to let you know when cleaning is due. For commercial customers with larger systems, regular maintenance can be on an automated schedule freeing you from worry about the system and from unexpected maintenance expenses by enabling budget planning. 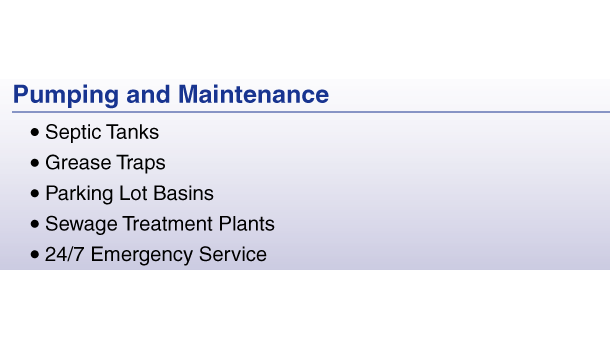 We are fully qualified to install, service and maintain any make or model of sewage treatment plant and can troubleshoot problems, replace working parts and provide scheduled maintenance for regular pumping and between-scheduled cleanings. We are usually easier to reach and able to help much sooner than the manufacturer’s representatives when an emergency arises. If you are planning to build, renovate or add a new building or to extend an existing structure, we are well qualified and experienced to help you plan your septic installation so that all of your wastewater needs are properly addressed. We look forward to talking with you. We do not supply and install septic tanks, because we believe there is an inherent conflict of interest in inspecting systems and selling the replacements. We use only high-quality parts and pumps (most often Goulds) and provide a manufacturer’s warranty with any products we supply.